Shop this classic print in new ways. There’s something about a summer filled with timeless stripes. Whether you choose a striped pair of heels, a sundress, or a sweater for the coast, these are a few of our picks that are sure to be staples in your wardrobe this season. From Vince, shop the Striped Maxi Dress – light and flowing. For the perfect piece to carry you to dinner, shop the Classic Single-Breasted Jacket from Saint Laurent. 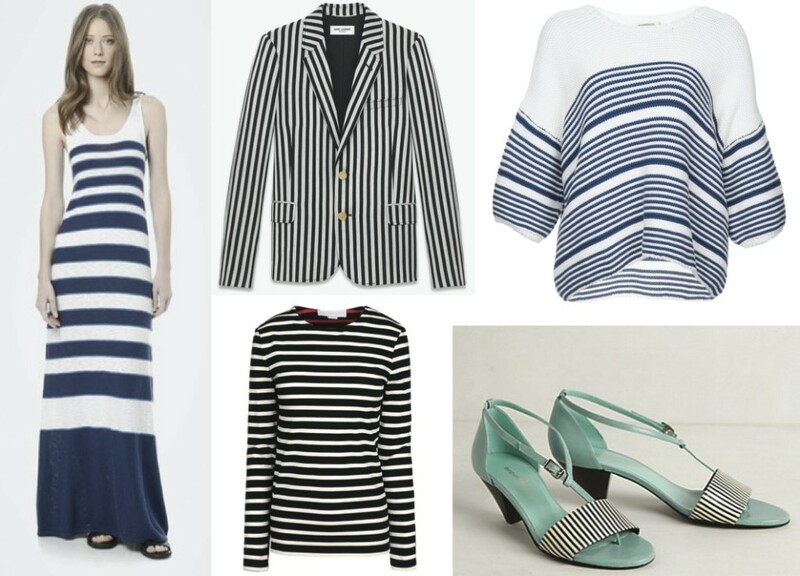 For basics, the Stella McCartney Long Sleeved T-Shirt, Mes Demoiselles Boxy Sweater, and Striped d’Orsay heels from Anthropologie are musts.